Your flight plans—worldwide, optimized, accurate. With online flight planning, accuracy and speed are everything. Reliable ETEs and fuel burn estimates are critical to helping you make decisions and control costs. To get it all right, you need to account for things like aircraft performance data, global weather forecasts, routing restrictions, and navigational charges. Then there are tankering considerations and weight and balance limits that you need to know. And you can’t afford to wait. 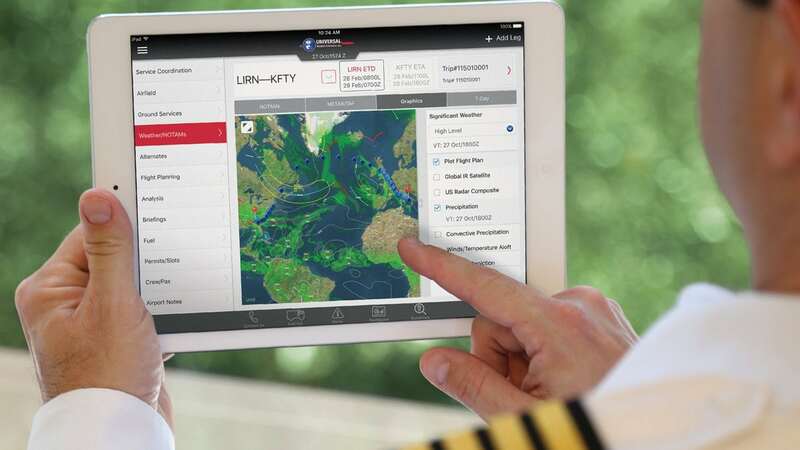 With Universal, you get an online flight planning system that does all this for you. Create and file accurate flight plans for routes worldwide, and do it quickly and easily—all on your desktop or iPad through uvGO. 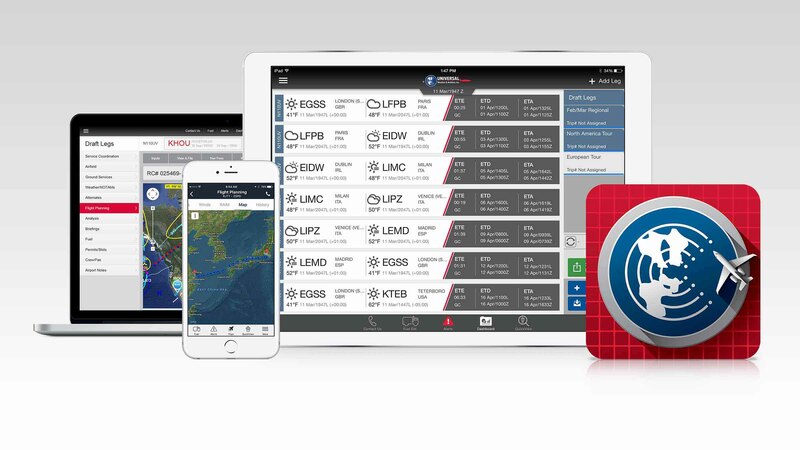 Sign up for a 15-day free trial and see what accurate flight planning looks like. What can it do for you? A lot. 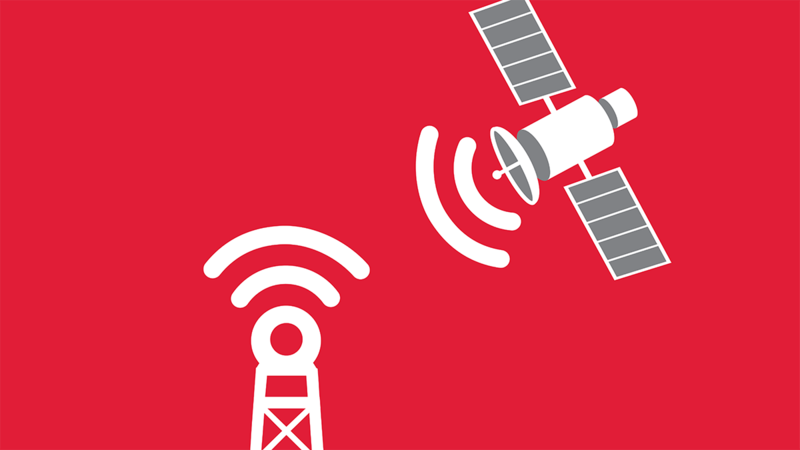 We’re 100% integrated with Satcom DirectⓇ, giving you more capabilities through one flight planning system. Trip request comes in on a Sunday. Schedule changes at 3 AM. Life does not have to be interrupted. Manage all your missions online or on your mobile device with uvGO. And with our uvGO app, you can stay connected to critical information when internet isn’t available.